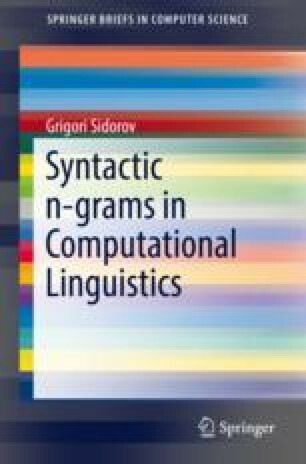 In this and the following chapters, we present two ideas related to the non-linear construction of n-grams. Recall that the non-linear construction consists in taking the elements which form n-grams in a different order than the surface (textual) representation, i.e., in a different way than words (lemmas, POS tags, etc.) appear in a text. Here we consider filtered n-grams, i.e., we filter the elements before we start construction of n-grams.